I’m very pleased to say that I’ll have a table at an upcoming event at Sheffield’s Meersbrook Hall on Sunday the 11th of September. Come and say hello! 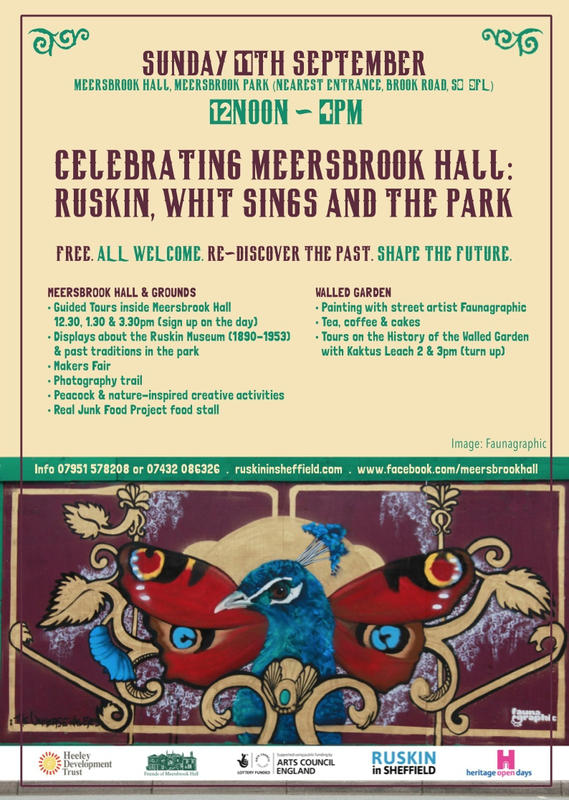 Meersbrook Hall is a great place with a long heritage and notable former life as home of The Ruskin Collection, now residing in the Sheffield’s Millennium Gallery. I could write another post about the connections of the arts and crafts movement, John Ruskin, William Morris and Edward Carpenter, all people who have an influence on my comic – suffice to say here that I’m very pleased to be there! The hall has had quite a turbulent time recently, with the council recently pulling out of it – but thankfully the newly formed Friends of Meersbrook Hall have stepped in. This should give a new lease of life – if you come down, do have a look around it.